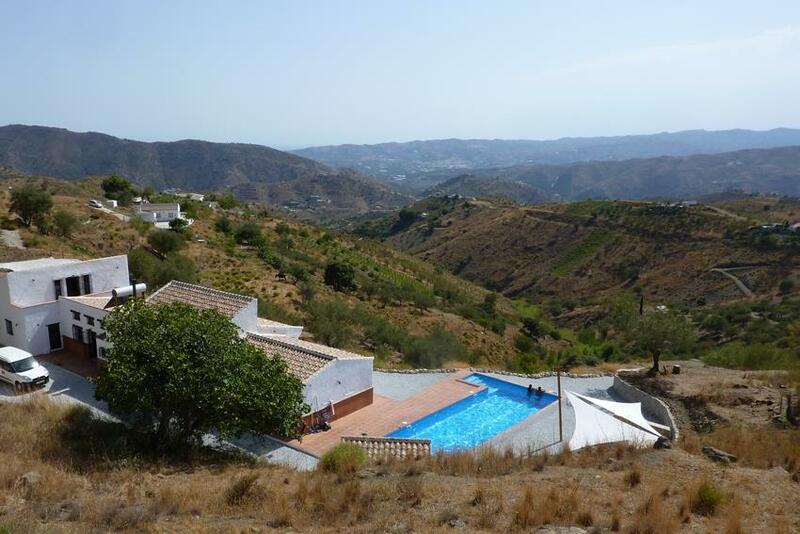 Enjoy all seasons in a luxury villa in southern Spain. Unique, modern interior, large kitchen (full equipement), airconditioning, fireplace, heating, amazing view and large pool. There are 3 large water depositos and water is heated by a solar system. The house has air conditioning, However there are fans in every room. Thanks, Jeroen for the great hospitality and nice stay in your beautiful villa. It is really nice, clean and all facilities are in and around the house so we only have had to bring clothes, bath suit and a book with us. We've enjoyed the pool, lounge-sofa and breathtaking beautiful view. Canillas is a really nice village, where we have a visit after a great walk through the mountains. In the neighborhood, we have had a nice time at the beach and lovely time in the city of Malaga. We really want to come back again. Super Haus in absoluter Alleinlage, auch wenn die Anfahrt etwas Abenteuelich ist wird man von der Lage und dem Haus vollständig überzeugt. Het huis is mooi en mooi ingericht. Het huis heeft een prachtig uitzicht. Wij hebben genoten van het grote loungekussen en het grote zwembad.